Car accidents can happen when we least expect them, and the impacts of these accidents can be extremely devastating. While not every accident results in serious injuries, the ones that do can have negative impacts that are far-reaching. Though no one can completely eliminate the risk of accidents, driving cautiously can help keep yourself and others safe. On May 24, the Boston Police Department received a call for a two-vehicle accident on 102 Canal Street. The accident occurred around 9:00 in the morning and emergency responders quickly arrived at the scene. Officer Anna Stepanyan was the first to arrive, and other emergency personnel administered help to the victims who had suffered from minor injuries because of the accident. Police directed traffic away from the accident. While the extent of the injuries was not initially determined, no fatalities were reported, and the accident was cleaned up before lunchtime. Vehicle accidents can cause serious injuries to victims. While this accident seems to have only resulted in minor injuries, this is not always the case. Car crashes can be devastating, and they can happen when we least expect them. We must ask all drivers to remember they have a duty of care to everyone else on the road. 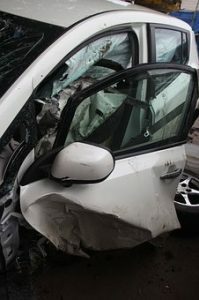 Negligent driving can have long-lasting consequences. We the Law Offices of Jeffrey S. Glassman are highly aware of the consequences of vehicle accidents. As concerned members of our community, we want our roads to be safe and secure for everyone. We urge all drivers to follow traffic laws and be cautious. When these accidents do happen, we are also dedicated to helping victims receive the help they need to return to recovery.